Convalle pescaglia abetone cheap ski snowboard cheap tuscany rental. Please contact us by email or telephone to enjoy our personal attention. ski tuscany casamarginetta rental winter sports casa marginetta, apuan alps sainsbury advertisement. Convalle pescaglia abetone ski snowboard cheap tuscany rental holiday, cheap holiday rental lucca ski snowboard family holiday. cheap holiday rental lucca ski snowboard family holiday. Cheap Italy rental. Affordable tuscany rental holiday vacation accomodations, affordable holiday rental cottage lucca ski vacation snowboard holiday. 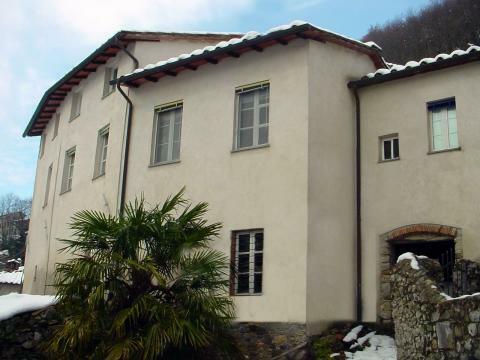 Value tuscany accomodations holiday vacation rental, self-catering cottage lucca garfagnana holiday rentals value lucca pisa ski holiday snowboard vacation family holiday. We would like to introduce you to the many benefits of holidaying in our Tuscan home. Casa Marginetta is a tastefully restored collection of 300-year-old stone cottages that have been joined together to offer spacious accommodation for up to seven people. Casa Marginetta is located in the idyllic surroundings of the Apuan Alps near Pescaglia in the Lucca province of Tuscany. Whatever your preference be it beautiful mountains, crystal-clear seas, summer sun, good wine, fine food, walking, cycling or sightseeing, our property rental could be your ideal holiday choice! Low cost flights from a growing number of UK and other European airports and operators together with quick local transfers now make getting here more affordable and less hassle than ever before. Families always welcome - we have never charged extra for school holidays! You're sure to have a fabulous time enjoying the beautiful sights and culinary delights that only Tuscany can offer! Our location is spectacular and our rates unbeatable, so why not make this the year that you fall in love with Tuscany? Whilst most people decide to book directly with us, as proof that we are completely genuine and for your complete financial protection, you can also book via the world-reknowned Trip Advisor site if you prefer. The choice is yours! You could be in Tuscany tomorrow! Several people have asked us which part of the picture shows Casa Marginetta? - The short answer is that ALL of the picture shows Casa Marginetta! At present though, we do not let the top floor. For bookings made strictly before the end of May 2017, on all stays of 10 nights or more we are offering you a massive £100 off and for 14 nights or more we'll throw in free use of the air conditioner or electric blankets too! Bargain holiday rental vacation learn ski cheap lift passes bargain holiday lucca abetone cimone corno alle scale, ideal beginners ski modern lifts bargain snowboard holiday, bargain family holiday. Discount vacations accomodations Birmingham, Bournemouth, Coventry, Dublin, Doncaster/Sheffield,Edinburgh, Glasgow, Liverpool, London Gatwick, London Stansted Nottingham (East Midlands) with Ryanair. Bristol, London Luton and London Gatwick easyJet. Coventry, London Gatwick and Manchester with ThomsonFly. Belfast, Edinburgh, Leeds/Bradford, Manchester and Newcastle with Jet2. London Gatwick with British Airways. Alghero, Alicante, Bari, Billund, Bremen, Brussels, Constanta, Eindhoven,Frankfurt, Girona, Hamburg, Lamezia, Malta, Oslo, Paris, Porto,Seville, Stockholm, Trapani and Valencia with Ryanair. Köln/Bonn, Stuttgart and Hanover with TUIfly. Berlin and Paris with easyJet. Prague and Vienna with SkyEurope. Ålesund and Oslo with Norwegian. Catania and Palermo with WindJet. Amsterdam with Transavia. Barcelona with ClickAir. Genoa and Parma from London Stansted with Ryanair. Florence from London Gatwick with Meridiana. leaning tower pisa, discount ski holiday discount lift pass ideal snowboard learner. Lucca vacation rental cottage. Tuscan holiday home rental near ski slope. Exciting vacation villa. Cheap accomodations lucca, villa holiday sunshine. Romantic honeymoon italy scenic views, fly ryanair easy transfer cottage rental. Easyjet villa close airport short flight easy car rental. Good restaurants serving pasta, pizza, calzone, steak, seafood funghi porchini. Cheap wine vino nobile di montepulciano, chianti classico, asti spumante, seafood. Walk cycle eat good food inexpensive tasty cuisine. Excellent kitchen facilities. Peaceful tuscan rental rustic area natural features chestnut beams cotta tiles. rental agroturismo toscana agrotourism, lucca tuscan rental. Factory outlet shops shoes, leather. Florence art galleries ponte vecchio speedferries fly stansted airport, bristol, doncaster genoa meridiana jet2. Oil-fired hot water central heating, Sony 'Playstation 2' console with library of games, Motorola walkie-talkies, Italian pay-as-you-go mobile telephone. Electric pedestal fans, magnetic ski snowboard racks. Tuscany Villa Rental,Cheap House Rental.